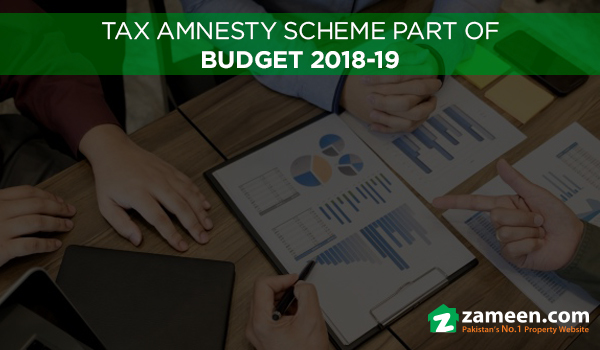 Islamabad: The Prime Minister’s Tax Amnesty Scheme, announced earlier in the month, has been made a part of the budget 2018-19, according to a news report. Under the scheme, people with income less than PKR 1.2 million per annum will not be taxed. People with income between PKR 1.2 million and PKR 2.4 million will pay 5% in taxes, while people earning between PKR 2.4 million and PKR 4.8 million be taxed 10% of their income. For annual income greater that PKR 4.8 million, the income tax is 15%. According to details, Minister of Finance said in his budget speech that non-filers with taxable income will have their financials monitored and in case of tax evasion, notices will be sent to them. He also said that assets are being searched through data mining and that a last chance is being given to declare assets by June 30.